Call us toll free, 1-800-626-0664, for help with your product selection and ordering. You can also use the contact form in this page – we’ll get back to you soon as possible. It’s that time of the year once again. Spring cleaning, home improvement projects, building construction and renovation is in the upswing once more. 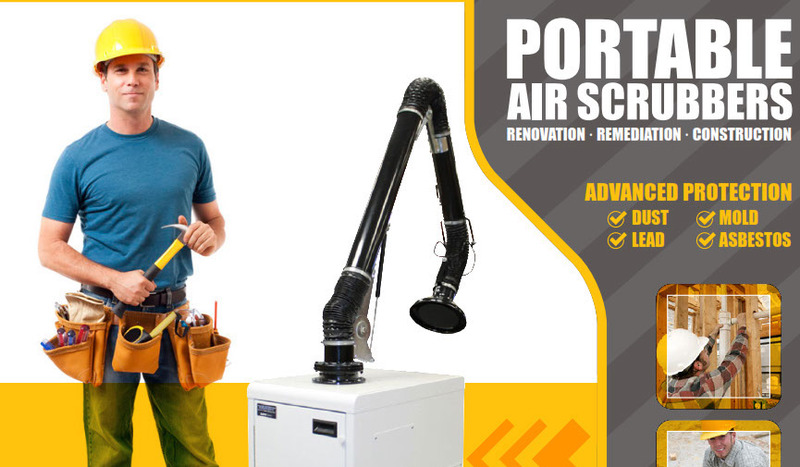 For DIY renovation and construction projects, building and renovation contractors, we offer a wide choice of air cleaners to help minimize your exposure to fine dust as well as chemical odors and fumes. Call for help with your product selection and / or your order. Toll free : 1-800-626-0664 or use the Contact Form below. Free up valuable, premium floor space. Compact, lightweight, versatile, multi-purpose portable air scrubbers, air filtration systems for advanced protection against dust, fine dust particulates, and chemical pollutants (chemical fumes, gases, odors). 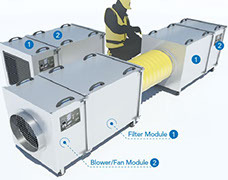 Highly efficient air filtration systems, air scrubbers designed to help remove dangerous, health threatening airborne contaminants, reduce the health risks in the workplace as well as protect sensitive equipment. 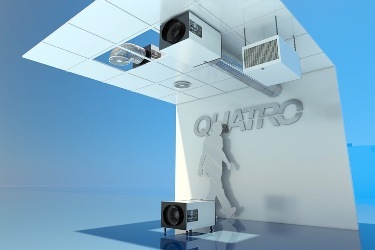 We offer you our BreathEasy BHH Series Home, Office, and Small Commercial Spaces air filtration systems. 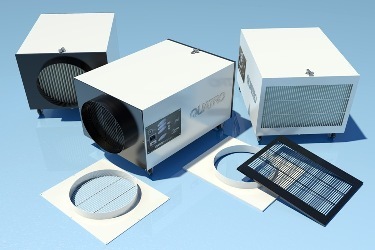 Filter configurations for dust, high dust, light odor, or heavy odor removal capabilities. We also have the larger ContractAir Series as pictured below. Contact us for help with your product selection. So you have some construction, renovation work to be done in your school, institution, hospital, workplace and you’re concerned about dust and other airborne particulates contaminating your indoor air specially in highly sensitive areas in the vicinity of the work area. 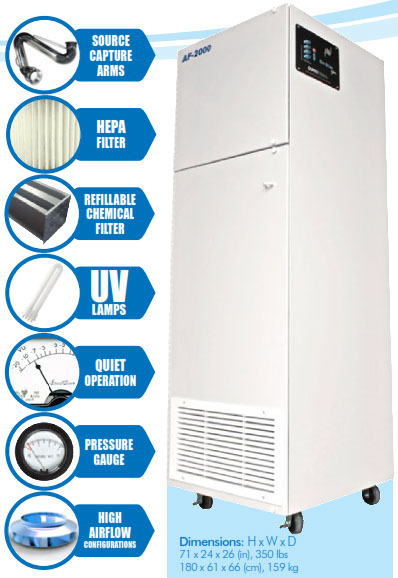 Our PRO Series Air Filtration System – the BP1000 and the BP2000 series can be of help to you. These air purification systems can be configured to filter fine dust, coarse dust, as well as odors from paint and other chemical offgassing. Large dust, debris, fine dust particulates, smoke, chemical odor, fumes, gas removal, stand-alone recirculating, source capture, ducting options, etc. Compact, lightweight, versatile, multi-purpose portable air scrubbers, air filtration systems for advanced protection against dust, fine dust particulates, and chemical pollutants (chemical fumes, gases, odors). Highly efficient air filtration systems, air scrubbers designed to help remove dangerous, health threathening airborne contaminants, reduce the health risks in the workplace as well as protect sensitive equipment. For help with your product selection please feel free to call us toll free (North America) 1-800-626-0664 or fill out the contact form below.